Today Beuchat launches Trigocamo! Visit the Beuchat website to find out more! 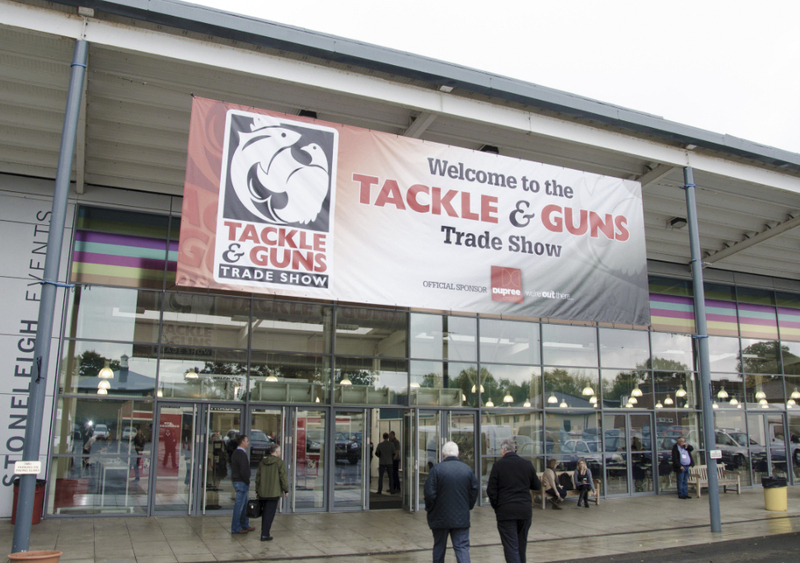 Midland Diving will be exhibiting our range of Gun Charging Cylinders and accessories, and our popular Spearfishing range from Beuchat, at the Tackle and Guns trade show. 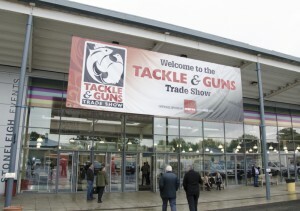 Running Sunday 12th October to Monday 13th October at Stoneleigh Park, Warwickshire, you can find us on stand B191! 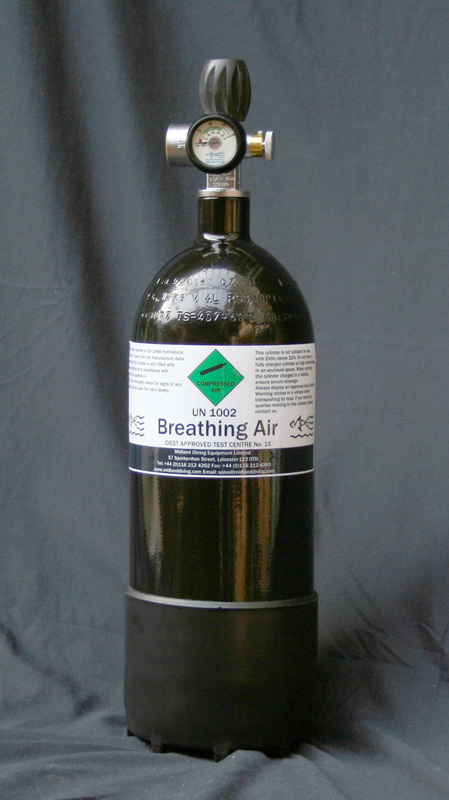 Our new 4L 300 bar Gun Charging Cylinder features our Jubilee Valve, the most rigorously tested and certified airgun charging valve, and is available to buy now! Also featuring our new slimline gauge, anti-kink hose, and refined restrictor for a faster controlled fill that doesn’t affect topping up at the dive shop! 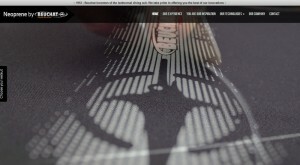 Beuchat’s new minisite www.neoprenebybeuchat.com/en/ focuses on the best-in-class suits available from the Beuchat range. It highlights the high quality materials and craftsmanship that go into every suit, from the Focea to the Alize. Buy a VRT80 Evolution regulator and receive a free Octopus VRT. 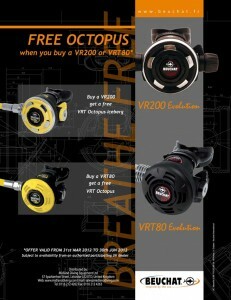 Buy a VR200 Evolution regulator and receive a free Octopus Iceberg. 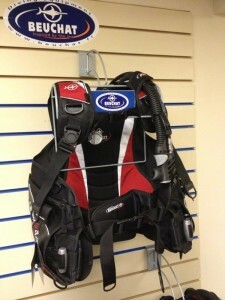 The promotion runs from 31st March until 30th June, and will also feature on the Midland Diving stand at LIDS 2012. Click the image to download the advert in PDF format! *Check with your local dealer for full details and terms. After its first full year with Beuchat, Midland Diving Equipment will be returning to LIDS with some exciting new products – the brand new Masterlift Evolution and the Masterlift Pro, two BCs that are sure to inspire. Also making their debut will be the all new Focea Sport, an entry-level suit with the impressive pedigree of the Beuchat brand, and the restyled Focea Sport Junior suit for the up and coming generation. For a second year MDE is running the “Breathe Free” promotion, giving the discerning diver the opportunity to get a FREE octopus when purchasing selected Beuchat regulators from an authorised dealer. 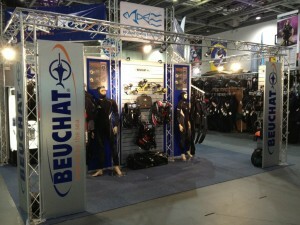 The London International Dive Show is open 31st March-1st April, and more details can be found at the show website. Find us at stand 519! Midland Diving recently worked with our friends at Scuba Pursuits to make diving dreams come true for one lucky winner of the 2011 Scholarship programme. 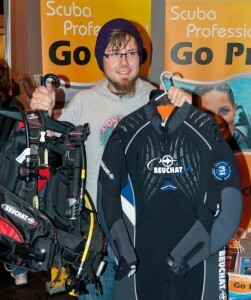 £2000-worth of Beuchat equipment was donated to the winner, Ben Webster, who will feature in Sport Diver magazine as he earns his professional diving qualifications in Beuchat gear. More details can be found at the Scuba Pursuits website, where you can check out photos of the winner on Facebook here and here, and you can look forward to reading about progress in future editions of Sport Diver magazine.